The maximum number of people gaze at their computer screen for most of their day, they try to have nice look at their screen. 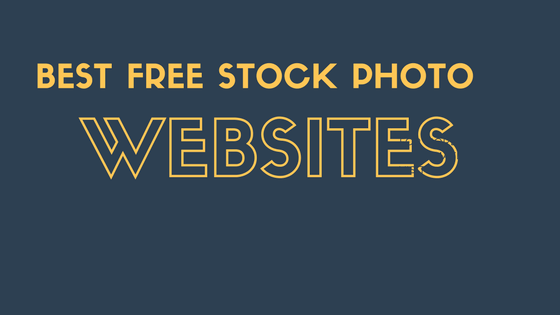 Here I show you some best free stock photo websites for all platform as I listed some of the best wallpaper websites. I have lists all these without numbering that you can use for your PC. These are not the only ones around but we feel that they are some of the best ones and are updated frequently. The work of all photographers on these websites are appreciable. The best websites ever I have newly found which has high-quality photos. They are creative photographers and designers who aim to improve the photo library to another level. Their priority is to bring high quality photos for your work! This website’s purpose is not to create database of a millions photos, this want to focus on the really good content that will have few thousands photos, just to avoid lengthy searching the right content that you actually looking for your work and find the best results already in the first pages. PicJumbo is free stock photo site. It all started when any stock photo site didn’t want his photos due to lack of quality. The free stock photos NegativeSpace is a site which provides 20 new photos every week released under Creative Commons CC0. The photos are searchable and might be sorted by category, copy space and color. Find out the best images and photos for your website posts and design projects. Wallbase has an enormous collection of wallpapers for your PC. The main feature of this site is its search feature. There aren’t wallpaper categories per say but you can search by a keyword and the search will show you all wallpapers that match your search. If that isn’t good enough then you can use the Randomize feature that will randomly search the Wallbase catalog and show you a wide assortment of wallpapers. There is also a Global Toplist so you can see what people are liking and download the most and choose from something there as well. The Splitshire is another best free stock photo websites. A collection of delicious free stock photos by web designer Daniel Nanescu. The photos are free for personal and commercial use. Search and find more free photos and images related to your projects. Unsplash is another attractive place to take some high-quality photography wallpapers, where you will notice ten new photos every 10 days. Every photo you find on Unsplash is authorized under Creative Commons Zero, it means that they’re completely free of cost and you’re free to do what you want with these images. Raumrot is also one of the best free stock photos and images website. All images and photos are in high quality and resolution. You can use them for personal or commercial projects. Images are available for use based on each individual photo’s creative commons license and should be displayed according to those rules. The StockSnap is free stock photo website and it has a huge collection of beautiful free stock photos and high-resolution images. The site also has a very handy search feature making it easy to browse through the thousands of images available. To find the exact images and photos you need, just do a quick search or find the most popular photos which have downloaded by other users. LibreShot is just another collection of hundreds of high-quality free stock photos and images for personal or commercial use. You can download the photos for free and use it on your websites, blogs or printed materials. All images have the same license CC0 1.0 Universal Public Domain Dedication. All photos have guaranteed origin. Stock Up is also another website which provides high-quality images. Here you can find all-purpose images, not all the images you find there are going to make great wallpapers. Though, it is just an aggregator. It drags images from many different websites, all of which permit images under Creative Commons Zero, and has numerous images to choose from. Stock Up might require a little more digging, there is generally plenty to choose from. The other issue is the resolution. Most the images you find on Stock Up are very high resolution, but not all of the sources Stock Up pulls from will tell you the resolution, or let you choose a version of the picture best satisfied for your proctor. I haven’t had any issues with images not being large enough to make a superb wallpaper. Digital Blasphemy is one of the best sites for wallpaper. It is also one of the first places to find especially unique and interesting 3D art and unique wallpapers that weren’t photos. Today, its modern emphasis combines all of the things that made it great years ago with modern, up to date fantasy art, landscapes, sci-fi views, and original pictures. Additionally, Digital Blasphemy has wallpapers for many monitors, mobile devices, and you can find many Digital Blasphemy apps available on Xbox Live and the PlayStation Store. These are the best free stock photo websites that I have found on my research on google for free photos and images. You may know some other free stock photos and images. So please share with us and we will add it to these lists.